Celebrating Stockton Arts Week, sing-a-long, scream-a-long, to all those hits you grew up listening to! We're back and at a new location in downtown Stockton! 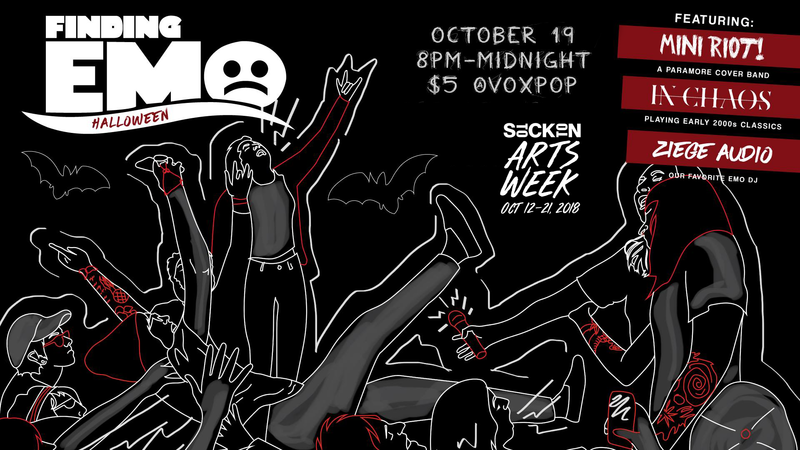 Head over to Vox Pop on October 19th for an Emo Halloween party you won't regret to celebrate Stockton Arts Week! We'll be playing your favorites from Taking Back Sunday, My Chemical Romance, Paramore and many more! Come sing-a-long, scream-a-long, to all those hits you grew up listening to all while being dressed up in your favorite costumes! Costumes are strongly encouraged. No masks allowed. This event is open for all ages!